In a mixing bowl, whisk together the flour, sugar and baking powder. Keep this dry mixture aside. In another mixing bowl, whisk together add egg, butter, buttermilk, vanilla extract, cinnamon powder. Pour wet mixture into the dry mixture and mix until just combined. Don't over-mix! Pour batter in a lightly greased cupcake pan, about halfway through. Bake at 350 degrees for about 15 minutes or until an inserted toothpick in the center comes out clean. Allow the muffins to cool down. While muffins are cooling, mix together sugar and cinnamon powder in a small bowl. 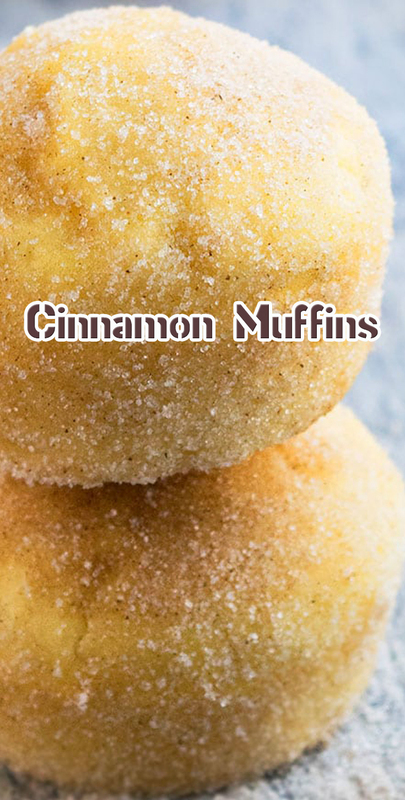 Brush each muffin with melted butter and then, roll them in cinnamon sugar. Enjoy!